LOS ANGELES (KABC) -- Los Angeles police arrested a suspect in a murder case that went cold for 16 years, thanks to a tipster who recognized a man she knew on the LAPD website. Samuel Calvario, 46, was arrested in the shooting death of Daniel Felix in 2000, police announced at a Wednesday news conference. According to investigators, Felix saw Calvario and his then-girlfriend arguing in a car on Nov. 9, 2000 near 54th and Bandera streets. When Felix intervened, Calvario grew angry and allegedly shot Felix to death. Officer Deen Alcaraz, the lead investigator in the case, said Calvario eluded arrest all this time by changing his identity. As for Calvario's girlfriend, police said she lost touch with him after the incident and did not know his whereabouts. Authorities said there was no DNA evidence linking Calvario to the crime, and the murder weapon could not be located. The case went cold for 16 years - until the voicemail came on July 7. 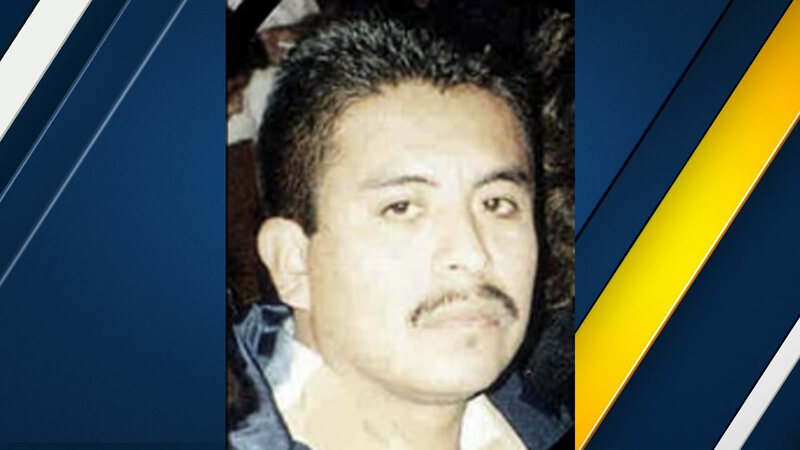 According to Alcaraz, the anonymous tipster said she was perusing the LAPD's "most wanted" section online when she happened to see Calvario's photo and recognized him. 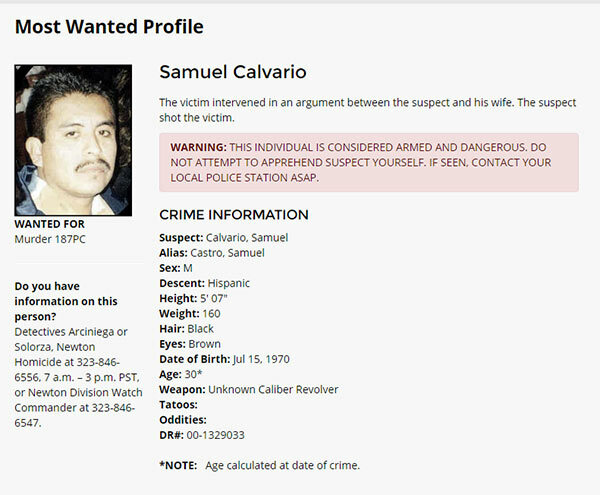 Samuel Calvario's 'most wated profile' is seen on the Los Angeles Police Department's website. She gave authorities a location where Calvario may be found, wished them luck and hung up. Police took that tip, investigated the location and made the arrest. Authorities did not reveal where Calvario was living, except to say he was residing in Los Angeles County. Alcaraz said he's never handled a case where a suspect was identified by someone browsing the website. He said the case underscores the role the community can play in solving crimes. "This caller did a great justice. We encourage folks who have information to call in and help us, because ultimately the community is the one who provided the information that led us to this arrest," he said. Police are still trying to get into touch with the family of Felix.